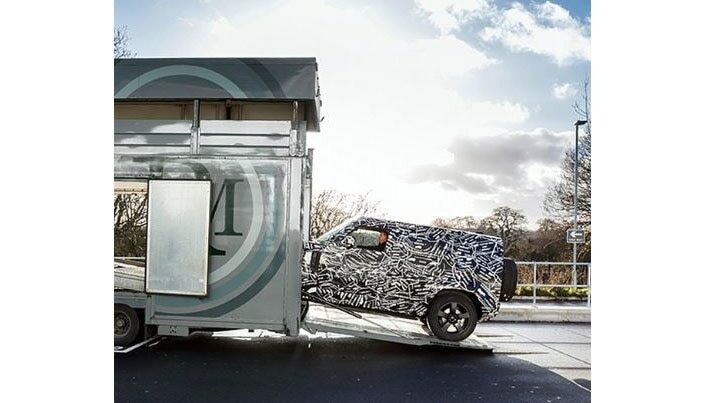 Land Rover is finally getting ready to introduce the long-awaited and somewhat delayed new Defender, if this teaser photo released on Instagram is any indication. “Do not unwrap until 2019,” the caption says, hinting the model will arrive in the new year. Do not unwrap until 2019. A public relations agency representing Land Rover emailed us an almost identical teaser, and just below the photo it reads “December 27.” The automaker has confirmed to AUTOMOBILE that it will reveal additional information about the new SUV on that date. But expect the full reveal in 2019. The new Land Rover Defender will retain the rugged capability of the original model while also being much more modern and with additional creature comforts and improved safety. It will sit on the same aluminum intensive architecture as the new Land Rover Discovery. To top it all off, this version will actually make its way to the U.S., marking the first time the nameplate has been available here since 1997. The automaker continued to make the model for other markets until production ended in 2016 after a continuous run of more than 60 years.